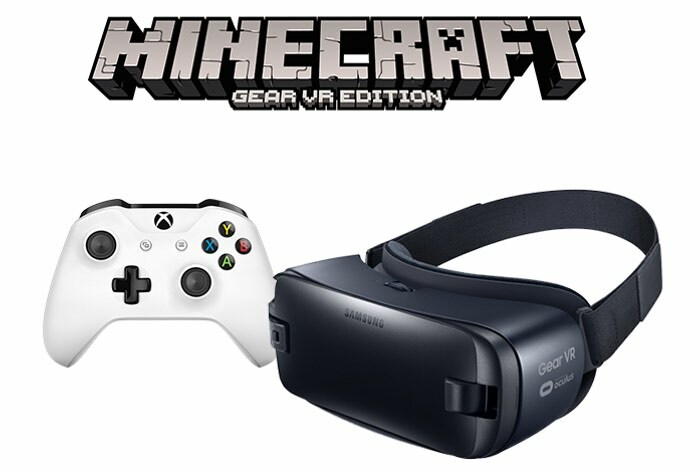 Microsoft and Samsung have revealed today that the Samsung Gear VR headset will soon be receiving Xbox Wireless Controller Support starting with the Minecraft Gear VR Edition. As part of our ongoing commitment to enable gamers to play anywhere, on the devices they want, we announced last month the expansion of the Xbox Wireless ecosystem across Xbox One and Windows 10 PCs. Today, we’re excited to announce that the new Xbox Wireless Controller, will soon be compatible with controller-enabled games on Samsung Gear VR starting with Minecraft: Gear VR Edition. In addition, broader support across all Gear VR controller-enabled titles like Herobound, Spirit Champion, Omega Agent, and End Space will be available in the coming months. Fans attending MINECON this weekend can get the first hands-on experience playing Minecraft: Gear VR Edition with the Xbox Wireless Controller in the Minecraft Game Lounge Oculus demo section. For more information on the new Samsung Gear Xbox controller support jump over to the Xbox website for details by following the link below.